In the name of “crystallization,” Bergman’s paring down of Ibsen’s compelling play with its early feminist theme sticks to the plot but gives us fewer ways to know the characters. It puts major, inner change on fast forward — making for an unconvincing drama. This is a suspenseful play of psychological gamesmanship between an older mentor and a younger, less educated but talented writer. The psychological unfolding is filled with suspense. Jake (Pendleton), a 50-year old photographer and bookish older guy is weary and, as the play begins, tensely avoiding Harry (Walsh), 44 years old, who, just having lost a make-do job as a doorman, penniless, pushes in to Jake’s stifling apartment looking for some money Jake owes him. Gidion’s Knot is an intense gem. Two persons, a mother, Caryn (Leiner) and a grade school teacher, Heather (O’Brien) are engaged, during a parent-teacher conference in a taut offensive-defensive search for truth. A big problem for A Minister’s Wife is that, unlike most of Shaw’s plays, Candida is in my view — though others disagree — dated. It has to do with a woman determining her own fate but the ideas circulating about relationships between men and women, marriage and love, are archaic — and there’s barely a spoonful of Shavian wit. 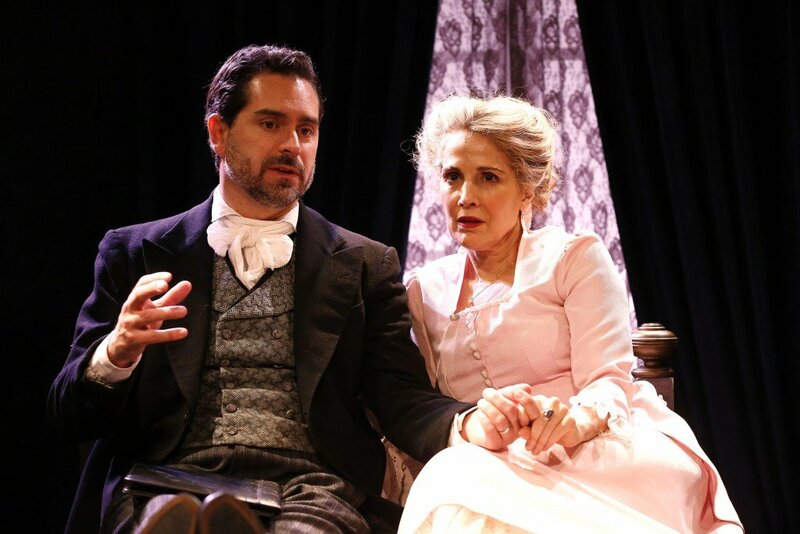 These problems were evident in the recent production of Candida by the Irish Repertory Theater , and setting some speeches to music, as in A Minister’s Wife, doesn’t make them go away. Chekhov wrote Three Sisters for production on a proscenium stage but I think he would have been thrilled to see this expansion of his work in Classic Stage’s magnificent large and high performance space. The potential breadth of Three Sisters is fulfilled in a way I’ve never seen before: the philosophical vision, the psychology and the drama enlarge as if here they’ve found a space to unfold their wings. The setting is a run-down boarding house in New Orleans’ French Quarter in the 1930’s and you know you’re in good hands from the first moment. The house is empty now, The Writer comments at the start, remembering when he lived there, but clearly it isn’t — Mrs. Wire, the landlady is on stage even before the play begins. With that brilliant contradiction, Williams conveys the paradox of memory.